The cooler summer has slowed down tomato production, but that has extended the season for us. 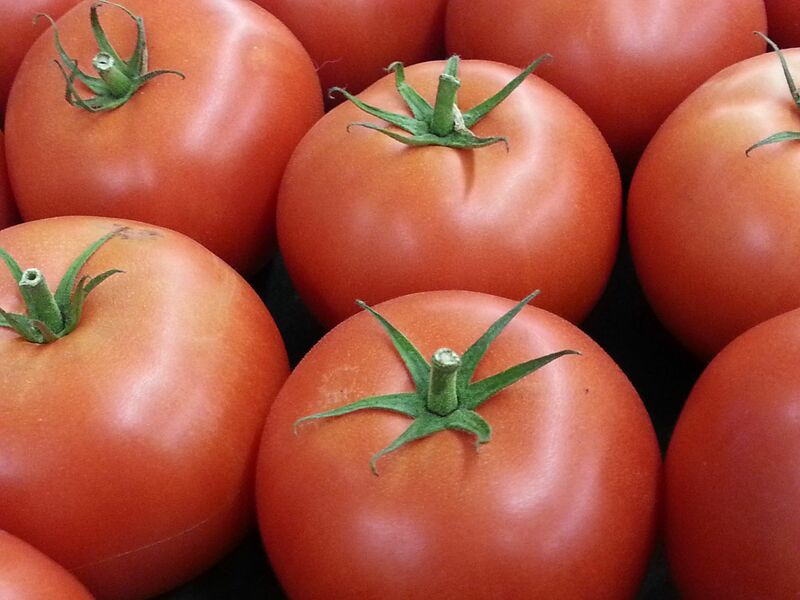 In selecting tomatoes, remember: pretty isn't everything. A firm tomato may look nice, but the best flavour will come from the ones that are starting to split open. These are the best for sauces, although you may find the firmer ones easier to manage in salads and sandwiches. 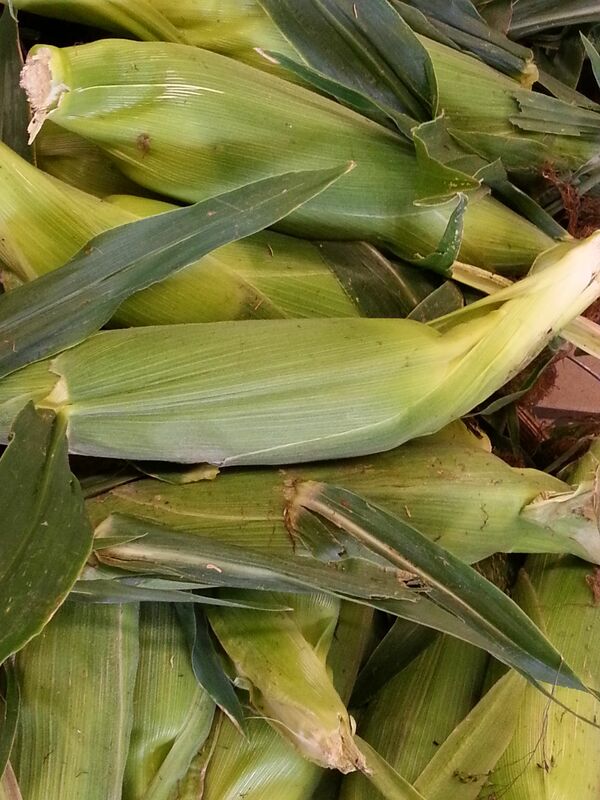 Sweet corn is a huge commodity, and continues to be a popular treat for early fall barbecues. Right now the first good ears are coming in, and they're spectacular! Look for corn that has sticky brown tassels (hair). If the tassels are black, the corn is already old. You can feel through the husk if the kernels are nice and plump. 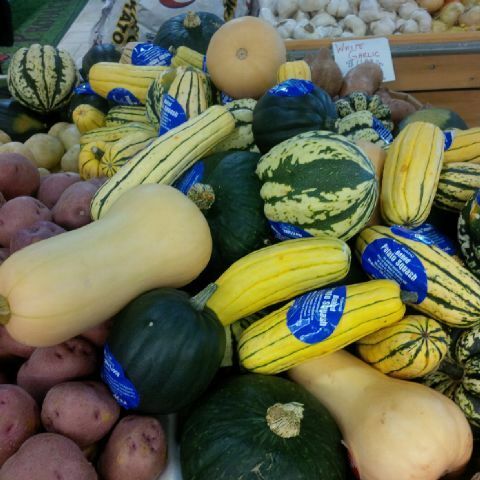 Squash is a dream this time of year. Just pick a variety you want to try, and give it a tap. If it sounds hollow, it's good to go. To prepare spaghetti squash, just cut it in half lengthwise, remove the seeds, and then roast it until the insides become loose. Peel out the flesh with a fork, and you'll see it closely resembles spaghetti, and can be used with that amazing fresh tomato sauce. Lightly sautee a chopped onion and two cloves of garlic. Add a cubed butternut squash, then add a litre of chicken stock. Boil until the squash is nice and soft. Put everything in a blender, add salt, pepper, butter, cinnamon and nutmeg (amazing fall spices), and blend until smooth. Put everything back into the pot and simmer lightly, adding 500 ml of cream and salting until it's well seasoned (taste as you go). Serve with a little Parmesan cheese and you've got an amazingly hearty fall soup that freezes well and goes great with other treats like turkey or roast pork. (tip: add a gourmet touch by adding a roasted red pepper, seeded and peeled, to the blender with the squash).